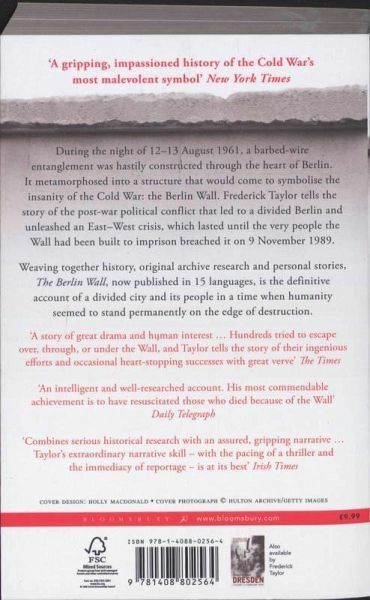 The appearance of a hastily-constructed barbed wire entanglement through the heart of Berlin during the night of 12-13 August 1961 was both dramatic and unexpected. Within days, it had started to metamorphose into a structure that would come to symbolise the brutal insanity of the Cold War: the Berlin Wall. A city of almost four million was cut ruthlessly in two, unleashing a potentially catastrophic East-West crisis and plunging the entire world for the first time into the fear of imminent missile-borne apocalypse. This threat would vanish only when the very people the Wall had been built to imprison, breached it on the historic night of 9 November 1989. Frederick Taylor's eagerly awaited new book reveals the strange and chilling story of how the initial barrier system was conceived, then systematically extended, adapted and strengthened over almost thirty years. Patrolled by vicious dogs and by guards on shoot-to-kill orders, the Wall, with its more than 300 towers, became a wired and lethally booby-trapped monument to a world torn apart by fiercely antagonistic ideologies. The Wall had tragic consequences in personal and political terms, affecting the lives of Germans and non-Germans alike in a myriad of cruel, inhuman and occasionally absurd ways. 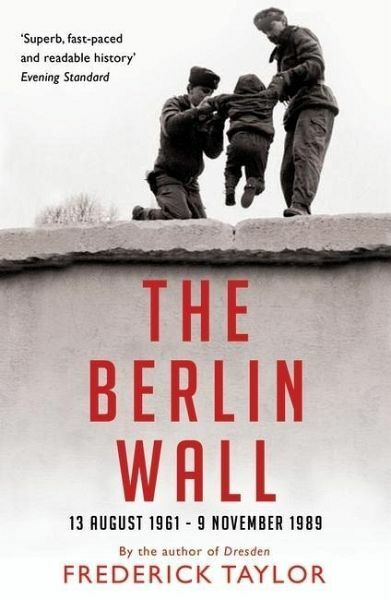 'The Berlin Wall' is the definitive account of a divided city and its people.